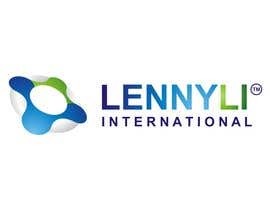 Lenny Li provides IT services from his heart with integrity to serve worldwide customers, help his trademarked name and warm shine through with his 15 years experience plus multi vendor industry certifications! I submitted my design for your review in different layouts and effect changes. #229 #230 #232 #233 #235 . Please let me know if you like the design but would like to see some changes. hi sir..submitted new design..draft #228 and #231...thanks! oh...i'm sorry i didn't notice...because its on the second page..
danjuh25: same logo with mine?? hi!i've submitted an original but hitech design for you..draft #205..hope you like it..thanks! karunaus: Would you be able to explain how #184 is a significant improvement over existing trademarked logo that deserve a design cost of USD290 plus global legal and admin fees at over USD10000 level? Please provide feedback on #184. I just submitted two logos (#168 and #169) with same concepts and different layouts. I would really appreciate to hear your feedback. Thank you. It would be good if #51 offers more customised feel instead of having a generic ball with 1/0s that makes it looks like an off the shelve sample. 103 is good try but has no special character, any name can be placed on top of a circuit chip, and i am not a chip manufacturer, the colouring is very dark and difficult to make the name standout. 67 is good in that it is a creative play with the character Li. However it is very 2D and leaves little to further imagination. Colouring is also not very refined or sophisticated. 89 and 90 are both excellent, because it utilise the original registered mark with a small gradient variation so it may cost less financial to utilise. As for the graphic icon, 90 is more 3D and lively while 89 is more tidy and neatly placed, but too rigid and boring. 89 resembles the shape of Li , while 90 seems to look like the outline of a lifesaving inflatable circle tube float, meaningful for my support services. For 117, remove the .com from the text as that is not part of the registered trademark name. Also if you use the graphic icon there, you'd better skew it to make it look more meaningful, such as resembling the shape of L, etc. Please, could you give me some feedback about #117? To enter contest, sign up a free account at http://www.freelancer.com/friend-invitation/join.php?id=3157667 first! Some contents of www.lennyli.com updated, see if you can get more clues about LENNYLI there. i created a 3d logo but i can't upload . when i am uploading my logo this message has been shown " You have been excluded from contests" ? Note: trademark regulations forced us not to have space between LENNY and LI, and therefore your design need to avoid having 2 seperate words. It is 10 year anniversary for LENNYLI INTERNATIONAL soon, He wishes everyone a merry computer session! how can i enter in contest and upload logos? For facebook photos or career history, you may refer to www.facebook.com/lennyli or http://www.linkedin.com/profile/view?id=28921793&trk=tab_pro . Also, a jingle or slogan is made up along the lines 'Lenny Li means Troublefree IT'. Therefore, a sample logo may be having a thin silver bar with the word 'International' underneath LENNYLI, which may rotate 3D to show the slogan 'Troublefree IT'. 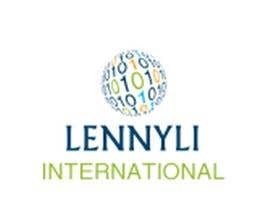 LENNYLI is certified by multiple places such as Microsoft, IBM etc. His background blends the best of East and West. I think from legal point of view, my registered mark is LENNYLI (no space), as such, I guess the logo cannot use space, but perhaps 2 slightly different colours for the 2 words? Pls incorporate a description or imagination of how the logo will animate/move on a TV advertisement. Let's celebrate Lenny Li's 38th birthday on 9June! Happy computing everyone!